Sea slugs, or nudibranchs, are some of my favorite marine animals. 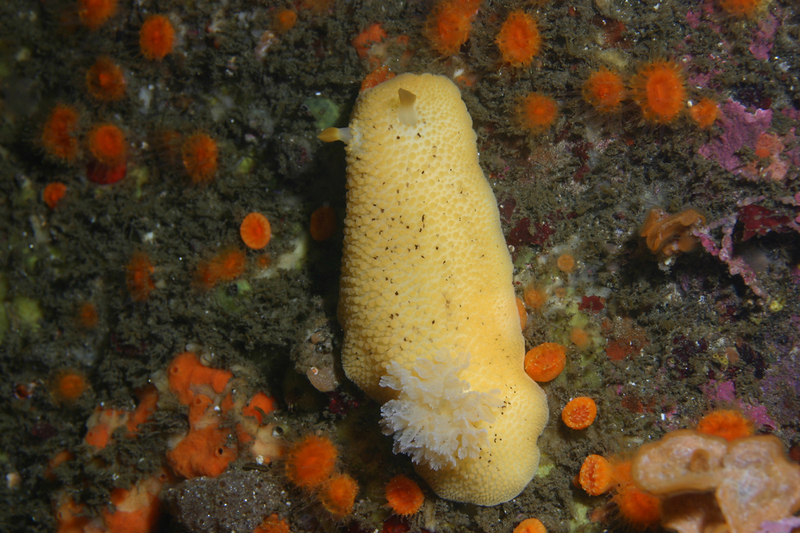 While an undergraduate at UC Davis, I participated in the awesome summer program at Bodega Marine Laboratory and did a research project on these sponge-eating squishies. I spent many an early morning on hands and knees in the rocky intertidal zone, searching for nuidbranchs to use in my experiment (I was trying to test their movement in response to chemical cues from their sponge prey). Despite being bright yellow, these buggers can be hard to find, and I often had my boots filled with water from trying to nab them in hard-to-reach crevices. But occasionally a nudibranch will turn up in an unexpected place, like on a fishing boat! 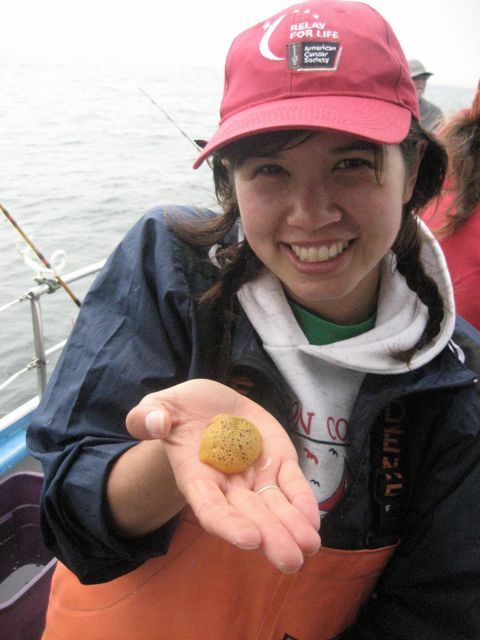 This little guy got taken for a ride when snagged by an angler’s hook during marine protected area monitoring surveys conducted by the California Collaborative Fisheries Research Program. Though I thought it was quite the catch, we were really after things like rockfishes, so we released it without a tag. The poor thing had probably experienced enough trauma for one day! This entry was posted in Cool Creatures, Erin Loury, Research: Fresh from the Field and tagged fishing, invertebrates, surveys. Bookmark the permalink.